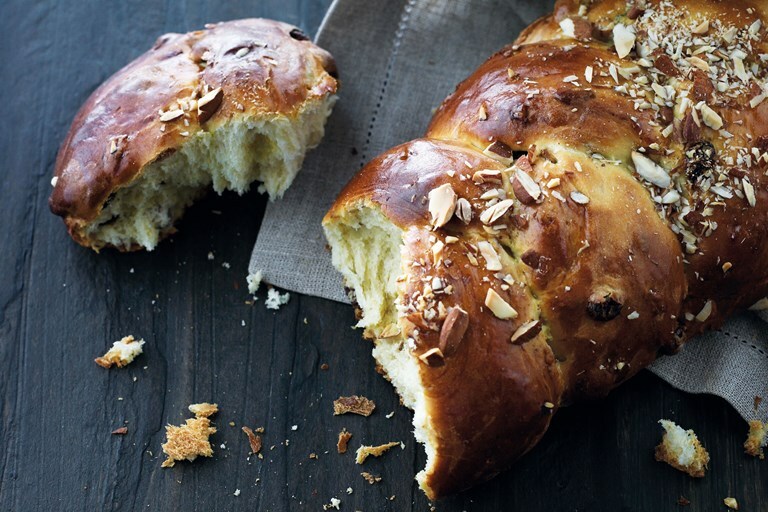 This plaited spiced Finnish loaf is a Scandinavian Christmas favourite, and will fill your kitchen with the fragrance of roasted almonds, cardamon and freshly baked bread. This recipe is taken from Scandinavian Christmas by Trine Hahnemann, published by Quadrille. Images by Lars Ranek. In Scandinavia, December is the time for white, glossy, heavy bread, unlike the rye bread we favour for the rest of the year ... Christmas is not the time for health food! This lovely loaf is best eaten the day it is baked, although after that it makes fantastic toast.